STUCK. Ugh. A word that I know all too well. It's the feeling of not knowing where to go, what to do, or what's next. It's the place where you feel paralyzed, unable to move in any direction, hopeless and confused. To be honest, I've been feeling stuck lately, unable to seem to put the pieces of life and business together, what they mean, and where God is calling me to go. As a personal development junkie, sure sure, I know that gratitude is the first step. And I'm sure you do too...but recently I found it hard to truly "feel" the gratitude because I felt so stuck, so confused, and so overwhelmed. It's called "journal as if." ~I am so grateful that I just had my first $10,000 month with my business! ~I am so thrilled that 25 new people joined my online course! ~I am in awe of the loving and supportive and fun relationship that my husband/wife/spouse/significant other have! ~I love that I am serving the 10 new people who joined my mastermind! ~I am grateful for my 5 new high-ticket coaching clients that just came into my business! Now, this may sound weird at first, but the amazing part about it is that the brain doesn't know real from imaginary, so the more you journal, as your future self, and take action towards those journal entries, those things will begin to come to fruition. 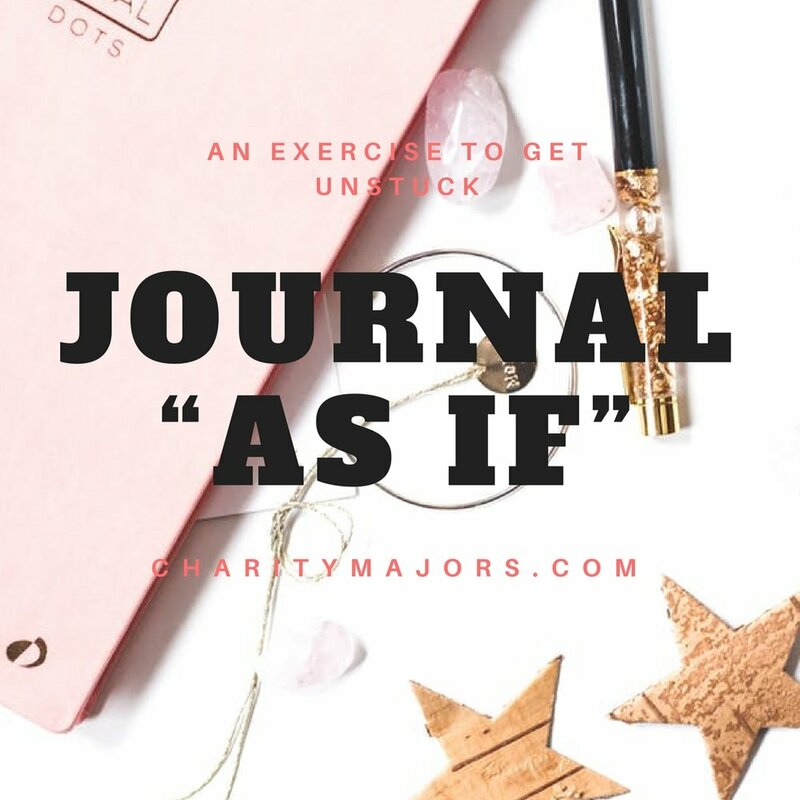 I want to invite you to start an "as if" journal and write in it every day. Write as if you were your future self, how your day went, the people you served, the money you were able to give to your favorite organization, the lives you already changed, the ease of abundance that flows into your life, the love that you feel, the joy that overflows from every cell of your body. There is no right or wrong answer, no dream too big, no amount of abundance that cannot come to you, nothing. It's all there, waiting for you to write it, own it, and work towards it. Cheers beautiful one. I believe in you and the dreams and calling that is on your life. You are here for a purpose so BE ON PURPOSE and ACT AS IF.